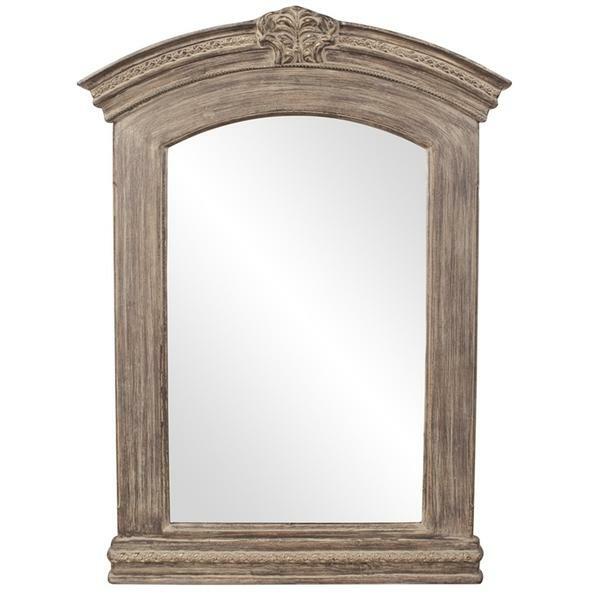 The Yorktown Mirror is a statement piece of Neo Classical styling. It features a large rectangular arched frame that is minimally decorated, but full of style. It is then finished in an aged brown with gray washed accents. Distressing highlights the frame adding to its classical look. This piece would fit right into your Shabby Chic, Cottage or French Provincial decor (just to name a few). It is a perfect focal point for any design. The glass is beveled adding to its style and beauty. Customizable for larger orders.